Also the jersey made by con4rad, the number on the jersey was too small...do u know why? You can remove updates for original players that you don't want simply by removing them from the sgsm folder. c0nr4d's jerseys are not compatible with the new Revolution 30 jersey updates included in v3.8. I've included a cleanup batch file that will correct the problem. Nope. I don't have a secret cache of patches that I keep unreleased. If it's not in the Project or available on the site as a separate download, I don't have it. I don't make shoe updates either, so I can't help you out there. Andrew, does the 2010 rookies have also speech update? No, nick_collison hasn't provided any speech updates since last season. but where can we get those speech files? First of all, thank you Andrew for the new PC Project for NBA Live 06. Great job! However, I found a mistake in the name of a Utah Jazz's rookie Gordon Hayward. His name in your roster is wrong (Haywood). Can you fix it please? Jhiane wrote: but where can we get those speech files? For the 2010 rookies? They don't exist, that's the point. The patch includes updated speech files but they have not been updated since last season as no further speech updates have been made since then. VaShawn wrote: First of all, thank you Andrew for the new PC Project for NBA Live 06. Great job! However, I found a mistake in the name of a Utah Jazz's rookie Gordon Hayward. His name in your roster is wrong (Haywood). Can you fix it please? Thanks for the heads up, I'll fix that up. Here is a fix for v3.8 of the rosters. I've also re-uploaded fixed versions so if you download them from now on, everything should be fine. i really love this update..except one thing..
it's really hard to hit a free trhow even if you lower the slider..
a freethrow..and it's frustrating when you're on a tight game..
LIVE AND LET LIVE !! Free throw shooting shouldn't be any more difficult than previous roster updates. Free throw ratings are still based off the percentages players are shooting in real life. Just found out that the announcer does not announce Stephen Curry's name and the number in the jersey's for my favorite team, Warriors is hard to see. As mentioned above, there is no speech update for the class of 2010 rookies. The issue with the jersey numbers is a problem with NBA Live 06, specifically the fact that the game only uses the back number files for the front and back of the jersey, simply scaling down the back numbers for the front of the jersey. This presents a problem for the Warriors jerseys since they use different colours for the numbers on the front and back of the jersey. As such, the update doesn't look quite right in 06; nothing we can do about that, unfortunately. I noticed that in your previous version of NLSC, Curry's name was mentioned by the announcer everytime he scores/fouls. Anything we can do to pass it on to your latest version? edit: Found the solution to this lol. Thanks for your Hard work Andrew! I'll doublecheck the ID number then, there might be something I missed in the conversion from the new 08 rosters. Just wondering, any fix for the warrior's jersey, the jersey numbers are fade. Anyway thanks for this!! I can fix that up in the next update. That's something I've overlooked in the conversion, thanks for the heads up on that. As for the jersey, no, there's nothing that can be done about that. As I explained before, there's an issue with front jersey numbers in NBA Live 06 where the game only uses the back numbers and resizes them, so for a jersey like the Warriors' that uses two different colours for front and back numbers the game can't reflect that. This is only an issue with 06, it doesn't occur in 2005, 07 and 08. Alright, thanks Andrew. I can just edit the sgsm>uniform folder to change the current uniform on any team right? That's where the uniform .vivs are stored, yes. You can also change jersey assignments and such in teamgear.dbf, stored in the roster save folder. A new roster update is out, accurate as of February 17th 2011 including updated All-Star and Rookie Challenge teams. No updated All-Star art as yet, I'll include those updates in future releases as soon as they're made available to me. Can you update the roster with the trade between Denver and New York? That was the plan. The next update won't be out until sometime after the deadline (probably the weekend at the earliest), so that I can include any other trades that occur. As I mentioned on Friday, I was hoping to get new roster updates for NBA Live 2005 through NBA Live 08 out as early as this weekend. The bulk of the updates are more or less done, however there are still a few unconfirmed jersey numbers for players who were traded at the deadline and talk of a few players that are expected to be waived/signed in the near future. As such, I would prefer to wait at least a couple of days so that I don't have to quickly release a new or repackaged version when that uncertainty is cleared up. In any case, I anticipate having the rosters out this week; I can't say when exactly but hopefully that info will be made available within the next couple of days which will allow me to finish up the updates and get them out. I thank everyone for their patience and hope you understand that this slight delay is in the name of accuracy. Finally, since a couple of people are working on the All-Star jerseys and court, there's a chance I might be able to include them in the next release; if not, they'll be included as soon as possible. I've been keeping up with the transactions and jersey number changes this past week and with the Arroyo to Boston signing likely to be made official tomorrow, the rosters are almost ready for release. 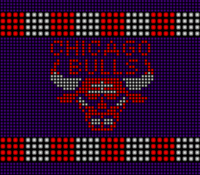 Until then, I'll be double checking some ratings, fixing some headshapes for the 2005 roster (please see this guide if you're interested in doing that yourself), seeing if I can fulfill a few requests for extras in the NBA Live PC Project for 06 and if they're finished in time, including the 2011 All-Star jerseys and court. As of this post, I have 2011 All-Star jerseys in place for the 07 and 08 updates but am still waiting on a court update and a conversion of the jerseys for 2005 and 06. I'd like to thank everyone once again for your patience and understanding in waiting for the new rosters. I would've liked to have released the post deadline update a little sooner than this but I want to put an accurate update out there and with the time it takes to upload repackaged versions of the rosters these days, I'd prefer to get everything right and as up to date as possible before uploading as it means much less hassle for everyone. The new rosters are out, at long last! They're accurate as of March 13th, links and further details can be found below. 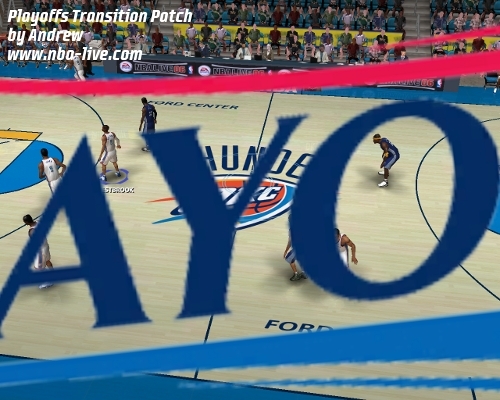 Please note that there are some texture errors with the All-Star court as it was originally made for NBA Live 08. I'm still in need of a fixed version, so any help in that regard would be most appreciated! 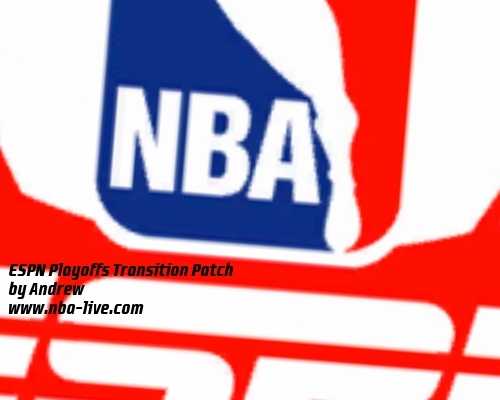 New rosters are still coming but I've been putting together a few other updates in the meantime, starting with some playoff themed transition patches. These are all based on the transitions used in the TNT and ESPN broadcasts during the 2011 NBA Playoffs. 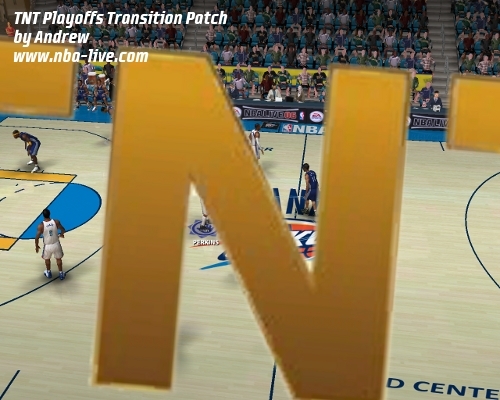 You can choose between the NBA Playoffs logo, the NBA on ESPN logo or the gold TNT logo that the NBA on TNT broadcasts have been using on transitions during playoff games.